Peter McLaren (UCLA, USA), Amrohini Sahay (Hofstra University, New York, USA), Dave Hill (Middlesex University, UK), Aristides Baltas (National Technical University of Athens), Ravi Kumar (Jamia Milia Islamia University, Delhi, India), John Preston (University of East London, England), Chrysoula Papageorgiou (Secondary education). The general purpose of the West Chester Critical Theory Conference is to promote and support critical scholarship within students, and to advance critical theory and pedagogy more generally. By “advance” we mean to expose more people to critical practices and understandings as part of the process of the development of theory. Through this focus we hope to work toward unifying and strengthening the sub-genres of critical pedagogy from Marxism, critical race theory, to critical neo-colonial studies. This goal is approached through the conferences internal pedagogy and therefore through a horizontal rather than a vertical organizing structure; by including students and classroom teachers in the critical pedagogical work dominated by professors; and by attempting to create a space where criticalists who do not usually work together can create meaningful unity, respect, and common goals. Since the dominant form of power in the twenty first century—neoliberal capitalist power—is both multicultural and global, critical pedagogy must too become more multicultural and global if it is to pose a significant challenge to it for a more democratic life after capitalism. Because critical theory is concerned with not only understanding the world, but with transforming it, the conference is focused on not only understanding the consequences of an unjust social and economic system (i.e. corporate take-over of schools, high stakes testing and behaviorist pedagogy, micro classroom aggressions and bullying, poverty, racism, sexism, white supremacy, homophobia, perpetual war, ableism, etc. ), but with transforming or dissolving their root causes (i.e. neoliberal capitalism and settler-state, Euro-centric oppression and their patriarchal, homophobic, racist, etc. hegemonies). As part of this goal the conference will hopefully provide introductory discussions and presentations on critical pedagogy and critical theory. The conference committee welcomes individual paper proposals, with the understanding that those accepted will be grouped together around common or overlapping themes, Presenters will have approximately 45 minutes to present or summarize their individual papers. Individual paper submissions will be considered for panels with the same topic/theme. If you would prefer to present your paper/research individually you should consider the alternative format proposal. A 300-500 word abstract of the paper will be peer reviewed for acceptance to the conference. Presenters are also welcomed to submit proposals for a symposium. A symposium is typically composed of a chair and discussant and three to five participants who present or summarize their papers. Each symposium is organized around a common theme. Each participant will have between 15 and 45 minutes to present their papers, depending upon the number of participants involved in the symposium. A 300-500 word abstract of the symposium will be peer reviewed for acceptance to the conference. A panel discussion is another venue available presenters. A panel discussion is typically composed of three to six participants who discuss their scholarly work within the context of a dialogue or conversation on a topic or theme related to the conference theme. Typically, each panelist is given 10-15 minutes to discuss the topic, present theoretical ideas, and/or point to relevant research. A chair should be identified who introduces the panel and frames the issues and questions being addressed. In addition to the chair, we encourage (but do not require) organizers of panels to include a discussant who responds to the comments of the panelists. Individual proposal submissions will be combined into panels with the same theme/topic. A 300-500 word abstract of the panel discussion will be peer reviewed for acceptance to the conference. Alternative proposals that do not fit into the above categories, such as workshops, performances, video and multimedia presentations, and round-table dialogues, are encouraged. We also welcome proposals for the organization of special interest groups. A 150-250 word abstract of the panel discussion will be peer reviewed for acceptance to the conference. Email proposals to conference coordinators Brad Porfilio (porfilio16@aol.com) and Curry Malott (currymalott@hotmail.com) by August 31, 2011. Critical Education is a new international peer-reviewed journal, which seeks manuscripts that critically examine contemporary education contexts and practices. Critical Education is interested in theoretical and empirical research as well as articles that advance educational practices that challenge the existing state of affairs in society, schools, and informal education. Critical Education is an open access journal and uses the Open Journal Systems management and publication platform, which was developed by the Public Knowledge Project at Simon Fraser University to expand and improve access to research. 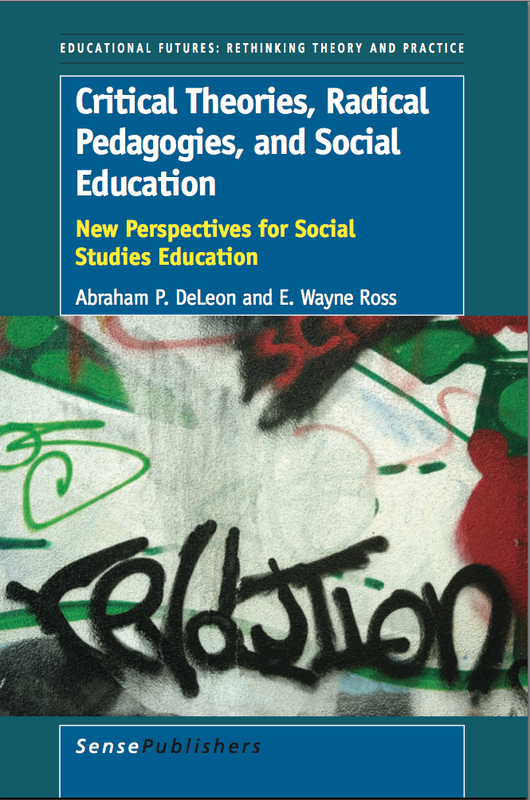 Critical Education is hosted by the Department of Curriculum and Pedagogy at the University of British Columbia and edited by Sandra Mathison, E. Wayne Ross and Adam Renner. Mathison, Ross, and Renner have extensive experience as educators, researchers, and academic journal editors in the United States and Canada. Mathison is currently Editor-in-Chief of New Directions in Evaluation. She is also editor and author of several books including Encyclopedia of Evaluation, The Nature and Limits of Standards-Based Reform and Assessment, Battleground Schools and most recently Researching Children’s Experiences. Ross co-edits Workplace: A Journal for Academic Labor and Cultural Logic and is former editor of Theory and Research in Social Education. His books include Neoliberalism and Education Reform (winner of the 2009 Critics’ Choice Award from the the American Educational Studies Association), Education Under the Security State, The Social Studies Curriculum, and Image and Education, among others. Renner is an Associate Professor in the School of Education at Bellarmine University in Louisville, KY. As well, he serves as the Director of the Interdisciplinary Core in the Bellarmine College of Arts and Sciences. Once a high school math teacher, Renner received his Ph.D from the University of Tennessee in Cultural Studies. He teaches courses on social difference, social justice, globalization, international service learning, and general pedagogy. Renner’s research interests are tightly connected to the courses he teaches. He has published in such venues as the Journal of Curriculum Theorizing, Educational Studies, the International Journal of Learning, and Intercultural Education, among others. He is the editor of The Rouge Forum News. Additionally, among many invited lectures, he has delivered more than forty papers at professional conferences in the US, Canada, Mexico, and Jamaica. Since 1998, Adam has coordinated an international partnership which pairs students and faculty from the US with educational and health workers in Montego Bay, Jamaica. In the coming weeks and months Critical Education will be announcing additional members of the Editorial Team as well as members of the Editorial Collective. Our aim is to officially launch the journal in early 2010. For more information visit the journal’s website. It will be help in Salvador, Bahia, Brazil on June 16th – 19th 2009. Please submit proposals by E-mail only to: confele@utep.edu . THE DEADLINE FOR PROPOSALS IS March 1st, 2009. Proposals must be accompanied by your conference registration in order to be considered.